Where to find us Oct. 2-4 at ARCHON! This weekend — Oct. 2-4 — I’ll be at ARCHON 39, the science fiction & fantasy convention, in Collinsville, Ill., with fellow fantasy authors, Candace Carrabus and Brad R. Cook. You can find us at Table 19 in Bookseller’s Row. Meet with me and three other local authors who write books for children and young adults from 11 a.m. to 1 p.m., Dec. 13, at 6 North Cafe in Ballwin. 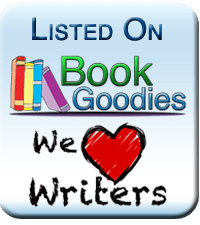 Jennifer Stolzer–-DOG PARK Brad R. Cook–IRON HORSEMEN Cole Gibsen–KATANA series & BREATHLESS T.W. Fendley-THE LABYRINTH OF TIME and ZERO TIME. Click to enlarge image. YA fantasy authors at STL Books 12/3!